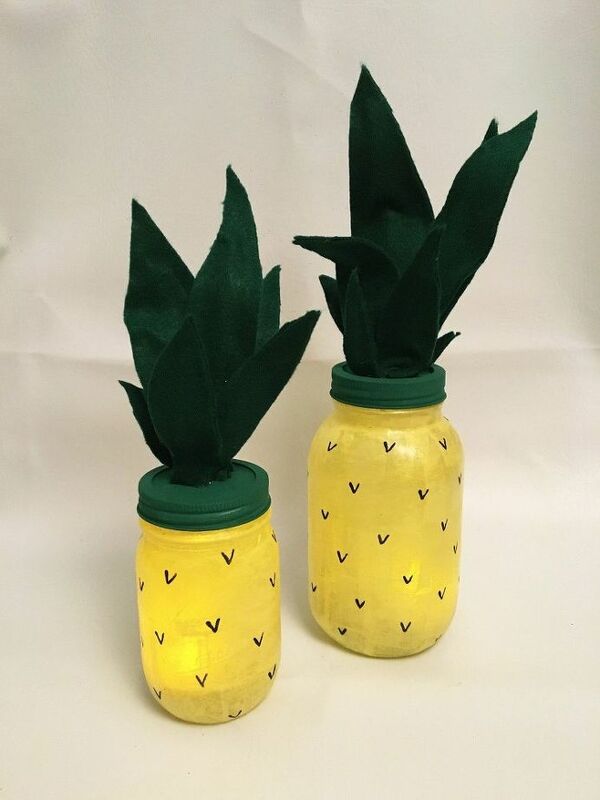 Brighten your home with these 7 diy pineapple home decor projects. 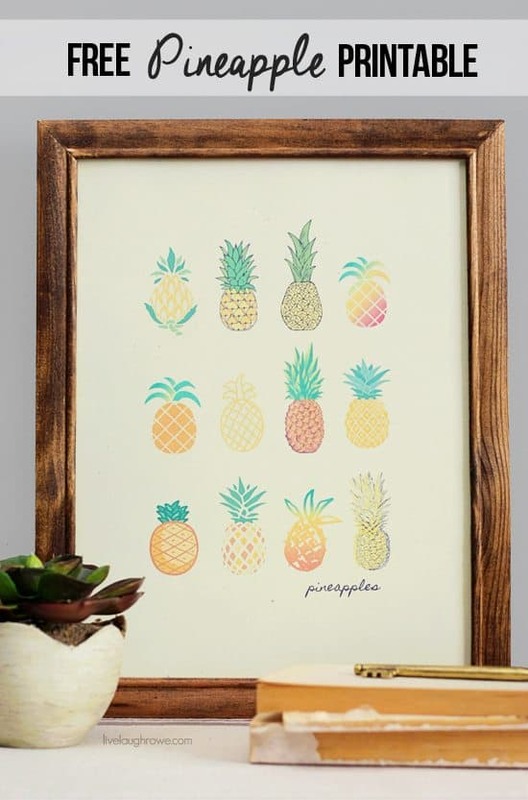 Pineapples are very on-trend at the moment and it’s easy to see why. Bright and colorful, they are perfect for summer and bring cheer even on the most miserable of winters day. 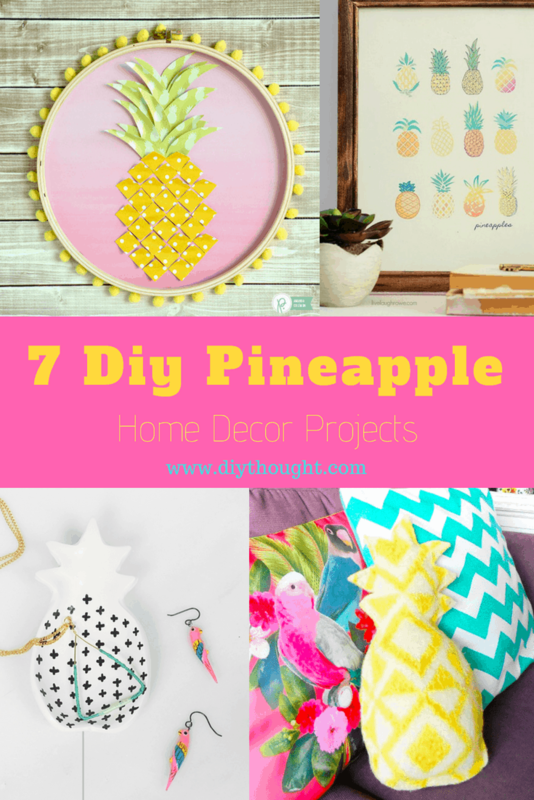 So read on and pick your favorite diy pineapple home decor project to start today. This hoop art project is easy, fun and inexpensive. Kids will love helping with this one and will love being able to update their bedrooms with their own amazing artwork! Click here to read the full tutorial. 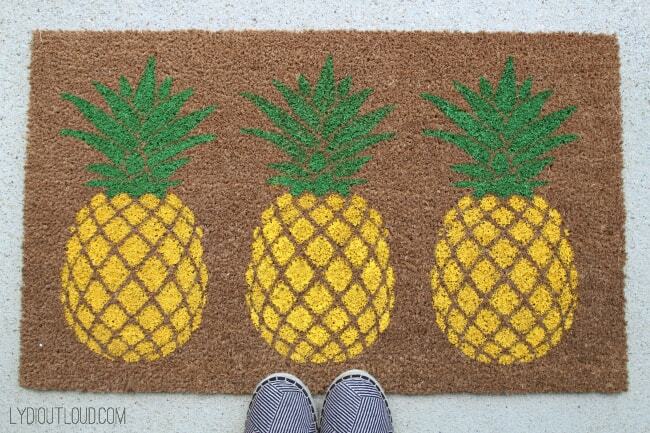 Welcome guests with this cheerful pineapple doormat. Follow this link to read the full tutorial. 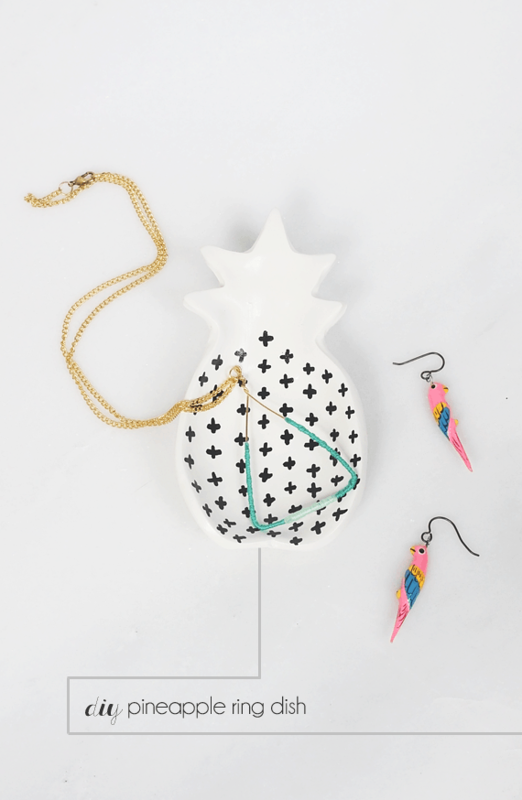 Store your jewelry with style and create your very own pineapple ring dish. 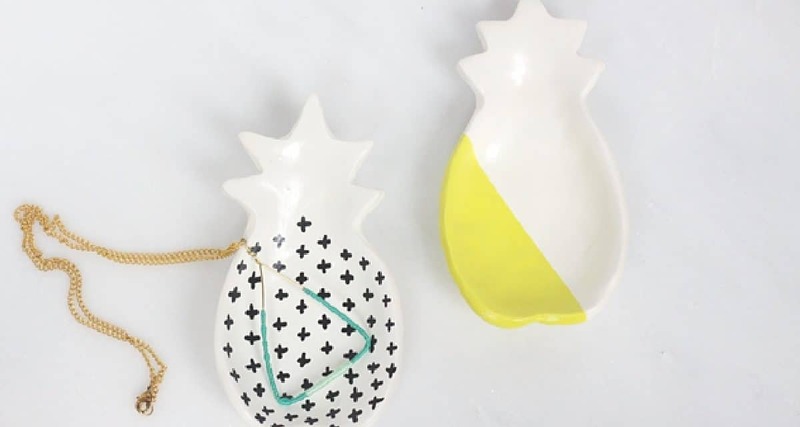 This pineapple ring dish would make an awesome gift for a loved one! Click here to find out more. 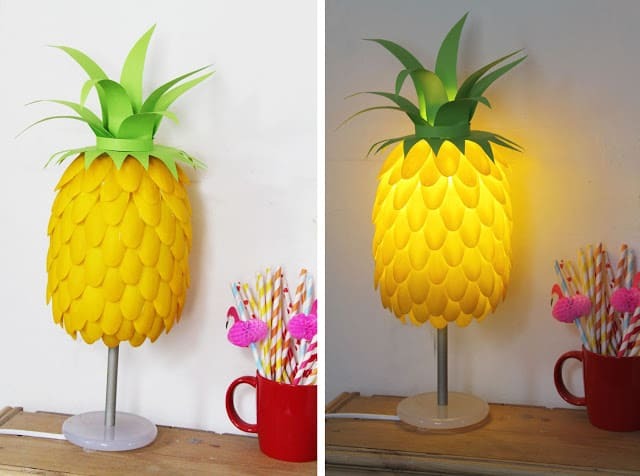 Make a statement with this amazing pineapple lamp! It is hard to believe that it is made from plastic spoons. Find out more here. Grab a mason jar, some tissue paper, paint and felt to make this cheap and gorgeous luminary. Head over to Headtalk to find out more. 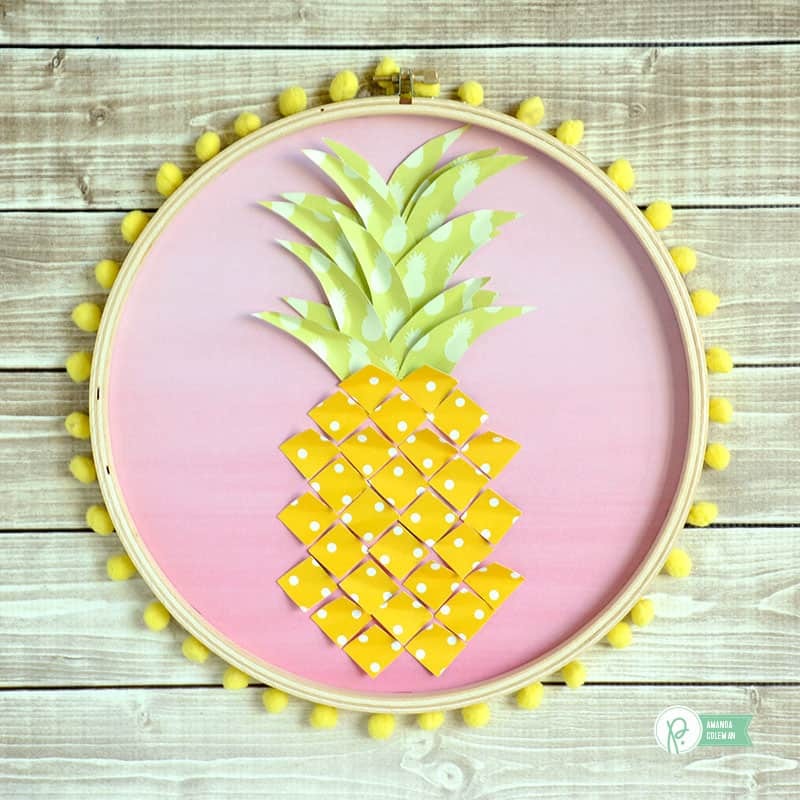 This free pineapple wall hanging is super cool and a super easy diy project, simply print and hang! Get the free printable by clicking here. 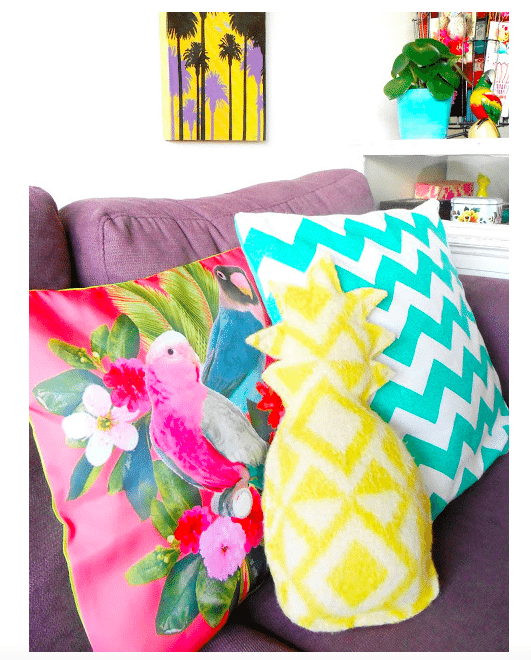 Repurpose an old blanket or towel (or any fabric really) into a super cool pineapple pillow. Cut out a pineapple shape then sew and stuff, how easy is that? Click here to get the full tutorial. Previous ArticleEasy Egg Custard- No Custard Powder Custard!